Techsparks is a multi-channel web development company with extensive experience and a proven record of success. Our collaboration with Protech Hospitality Hub aims to help Australian businesses get a remarkable online presence, and become successful brands. Our multidisciplinary service offerings include website development, graphic designing, branding, mobile app development and much more. 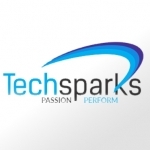 Company Name Techsparks IT Pvt. Ltd.
- Must have proficient Knowledge of Upwork. - Must have good Communication & Written Skills. - Knowledge of any other Portal would be a plus.